Author, musician and entertainment industry executive Tom Willett brings a lifetime of experience to helping artists and audiences alike understand the centrality of creativity in both professional and personal life. Having toured and recorded extensively as a songwriter and musician during the 1960s and 1970s, Willett served as a talent agent and personal manager for numerous artists and authors in the 1980s, and worked at major record labels in Los Angeles and New York during the 1990s. 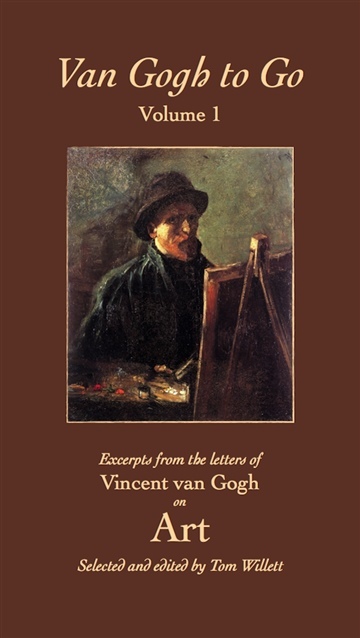 As the co-founder of the Contemporary Music Center on Martha’s Vineyard, MA (the nation’s only artists’ colony for contemporary musicians) he helped train and develop more than 1,000 up-and-coming songwriters, recording artists and entrepreneurs, using the letters of van Gogh regularly in his lectures and workshops. Willett’s work has been cited in Billboard, Rolling Stone, the L.A. Times, and Entertainment Weekly, and he has published two previous books plus dozens of articles encouraging creativity in the arts and everyday life. Learn more at http://en.wikipedia.org/wiki/Tom_Willett and www.tomwillett.com.